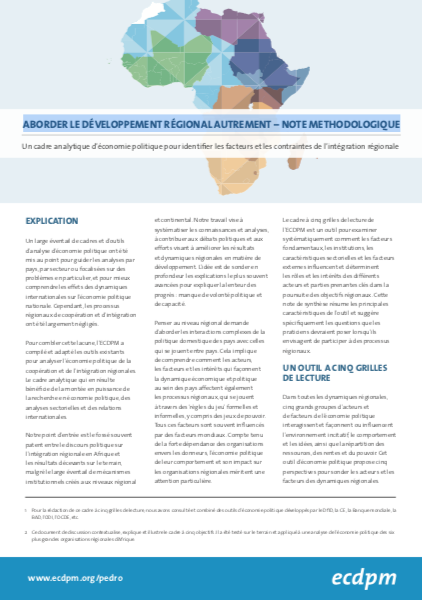 A recent study by ECDPM on the Political Economy of Regional Integration in Africa, tried to identify drivers and obstacles to effective implementation of regional agreements, with the ultimate aim of answering the question: how to make regional integration in Africa work better? 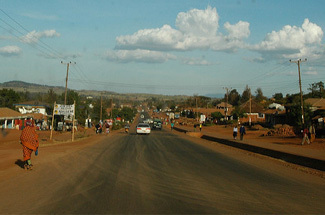 Africa believes in regional integration and regional cooperation. Over the decades this has led to a surge in regional organisations, all setting out ambitions, targets and strategies across a wide and growing range of policy areas. These regional organisations and their member states have agreed on a multitude of regional policies, commitments and programmes advocating for cross-boundary mobility of people, regional trade of goods, the delivery of financial and other services, and coordinated approaches to natural resource management and peace and security. These regional processes are vital for tackling issues that cannot be solved at a national level, and that affect poor people’s lives in terms of human security, rural livelihoods, access to infrastructure, environment, and climate change, with women often suffering the most. Yet, as recent events in Europe illustrate, implementing regional agendas is not a smooth, linear process. In the words of Ambassador Quince, the EU’s top diplomat in Addis Ababa, “regional integration is a complex, very controversial and highly political process. 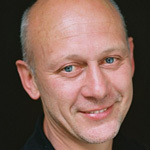 And that is because it creates winners and losers”. He was speaking at an African Union (AU) conference of 150 African stakeholders and partners in May 2016, themed “How to make regional integration in Africa work’’, building on a recent, large ECDPM study on the Political Economy of Regional Integration in Africa (PERIA). While the conference was themed “how to make regional integration work?” it is clear that numerous regional processes are being undertaken and are working, so the real question is how to make it work better, and identify criteria and milestones for assessing it (see also articles by Raheemat and by Brenton and Hoffman in this issue of GREAT). 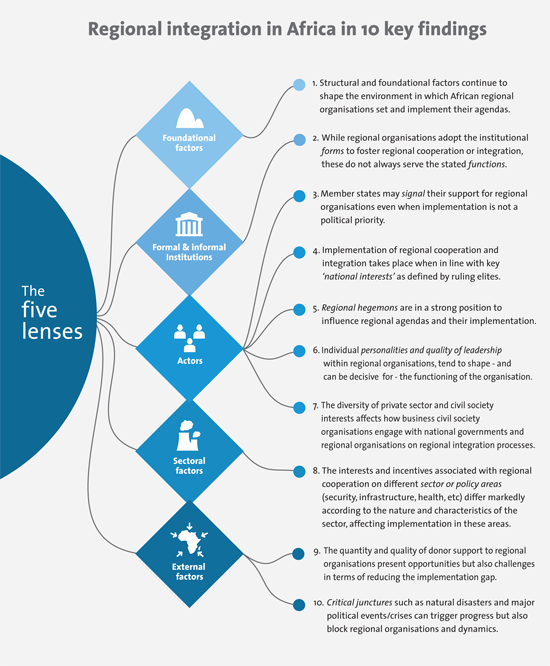 The PERIA study addressed that question by applying a five-lens framework to help identify the drivers and obstacles to effective implementation of regional agreements. This aimed to systematically unpack the interests and incentives as shaped by the interplay of structural, institutional and external factors. For five regional economic communities (RECs) and the AU, this five-lens approach was applied to two or more specific sectors, including peace and security, infrastructure development, climate change, agriculture and food security, industrialisation, trade etc. One major finding was precisely that the buy-in from national elites to regional cooperation differs according to sector specific institutional and incentive characteristics. 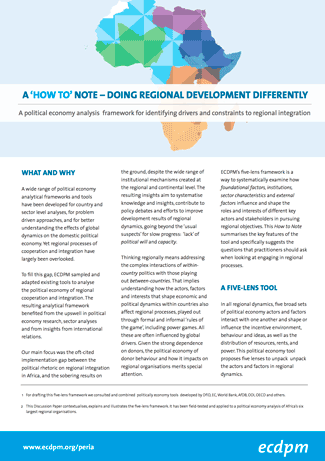 Another finding confirms that while regional organisations create political added value and legitimacy, many of their regional agendas remain aspirational with multiple implementation gaps. Much of what needs to be done requires action at the national level. Yet ruling elites in member states often don’t see their interests served by empowering and financing the regional organisations to which they belong. 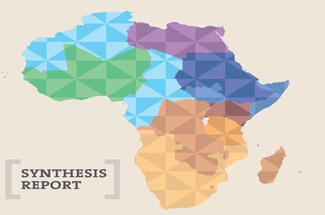 Bigger African member states are somewhat the exception as they can and do take a particular interest in influencing regional organisations and dynamics. This is particularly the case with issues of instability or violent conflicts in Africa, as the costs of inaction may be vast and immediate. Conflicts may spill – and have spilled – over into neighbours or regions, and pose direct threats to ruling elites. 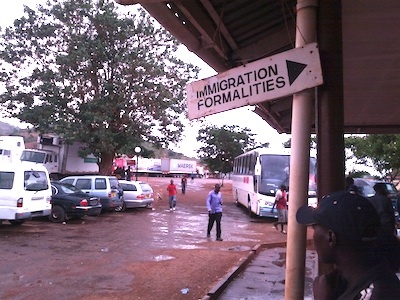 Powerful countries such as Nigeria, South Africa, Kenya, and Ethiopia hold sufficient political and economic sway when it comes to driving or blocking particular regional agendas. At the African and regional level, this has resulted in a stronger set of institutions, especially in terms of peace operations and conflict diplomacy. In other sectors, however, non-implementation of regional agreements by member states is easy and carries little immediate or visible costs. Oftentimes, demand side pressures from civil society and private sector associations remain mute, or can be dismissed easily. Furthermore, in the absence of effective arbitration, mediation, or other compliance institutions and implementation arrangements, member states can often get away with merely signaling support for regional organisations and agendas. This leaves the regional organisations often poorly financed and weakly institutionalised to do all the ‘heavy lifting’. A few donors, including the European Union and some of its member states, pick up a substantial part of the bill for funding regional organisations and their programmes. Yet, besides the positive effects, there are serious downsides to the quality and volumes of that aid. Donors often have high expectations of what aid can do, and tend to direct it to their political and policy priorities. This may crowd out the preferences of regional organisations and their members, reduce a sense of ownership and accountability, further inflate the regional agendas, and weaken rather than strengthen important functions of these regional organisations. Click on the images for the full-size infographics. 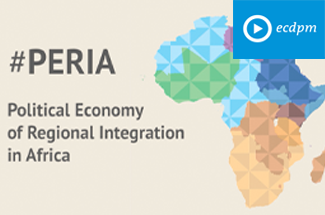 The PERIA study and related exchanges with key African stakeholders and partners confirm the impressive gains to be had from cross-country and regional cooperation and integration. But this potential can be more fully tapped. Therefore, the study suggests an ABC for doing regional development differently: Ambitions need to be adapted to the technically feasible and the politically achievable – it makes no sense to hector on about ideal-type integration models for which there are no support coalitions. Brokerage in support of those regional dynamics with traction in different countries is key to regional cooperation, given the wide range of interests, incentives and stakeholders – winners and losers – who need to be considered, accommodated or compensated. Champions for such demanding technical and political brokerage roles in regional and national public and private sector organisations are also needed to speed up processes, help sustain momentum and create breakthroughs. For external partners, the implication of the PERIA findings is to remain engaged, but be prepared to play the second fiddle and re-calibrate their support strategies to the ABC. But these kinds of findings are just the tip of the iceberg. In follow-up work, ECDPM will build on and extend this work to additional regional organisations, going beyond those RECs recognised by the AU to include other regional organisations focused on economic integration as well as natural resource governance and peace and security. These are presented in the table below. The areas with most traction for regional cooperation and integration within specific regions. With this kind of understanding, policy makers at the national and regional levels and within donor agencies can engage in a more grounded conversation about the appropriate levels of ambition for policy reforms and support, the most appropriate actors to engage (and how), and how to work with reform champions, whether technical or political. While all of the above is focused on regional organisations as drivers of these regional processes, one of the key findings from PERIA is that in practice regional integration ultimately depends on citizens and private sector actors. Even if institution-focused regionalism still faces many challenges, regionalisation is taking place regardless, again highlighting the need to better understand these processes, ensure the gains are evenly spread, and that those who might lose out are compensated or somehow assisted to cope. One of the challenges is then to identify those winners and losers, both between and within countries, but also to see how markets and institutions can be made more efficient but also inclusive – something that may be a challenge. A good example is work being supported by several donors to reduce transport costs in West Africa – though at first sight a technical issue of improving roads and ports, further analysis shows that the politics of domestic economic development strategies do not always align with trade commitments; the transport unions that protect the market for small-scale transporters are also part of the high costs; while global shipping companies may have more influence over transport sector costs and reforms than government commitments. While regional organisations are a key part of making regional integration work better, a technically perfect policy reform is likely to fall flat at the first hurdle if it does not also take account of the way in which citizens and firms are operating in the region. Africa believes in regional integration; bringing politics and interests into policy discussions may be what is required to help regional integration work better. 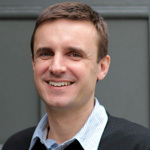 Jan Vanheukelom is Senior Adviser for Political Economy and Governance and Dr. Bruce Byiers is Senior Policy Officer for the Economic Transformation and Trade Programme, both at ECDPM.